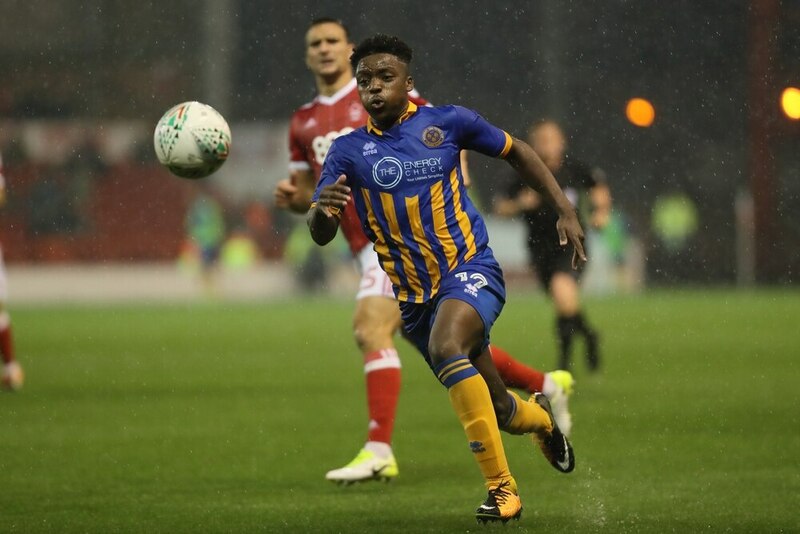 Highly-rated Wolves teenager Niall Ennis has been ruled out for up to six months after picking up a knee injury while on loan with Shrewsbury. The 18-year-old, who joined Salop on a season-long loan, has featured twice for Paul Hurst's this season. But Town chiefs noticed an issue with Ennis' knee in training and sent him for a scan with Wolves that subsequently showed he had a problem with his meniscus. A statement from Wolves said: "Wolves can confirm that young striker Niall Ennis faces a spell on the sidelines with a knee injury. "Ennis, who was in the early stages of a loan spell with Shrewsbury Town, picked up an injury to his meniscus which will now require surgery. "He is expected to be sidelined for between four and six months. "Everyone at Wolves wishes Niall well with his operation and for a quick recovery." Ennis, who has been a regular for England's under-18s, has already seen his career blighted by injury. Back in November he was ruled out for four months after suffering a broken leg. The youngster was training with the first team when he suffered the fracture and was closing in on making his Wolves debut. It was the second time he had missed out on making his Molineux bow after he also suffered a fractured fibula. Ex-boss Kenny Jackett later revealed the injury probably cost Ennis his first-team debut aged just 16.